Home / Blog / NOW SUPPLYING YOB PADDLES! Arguably a paddle is equally if not more important that the board you are riding or intending to buy. It’s amazing how a good paddle can significantly improve your paddling experience whether for recreation or at a competitive level. Buying your own board and all the accessories that go with it is a big outlay for a lot of us. 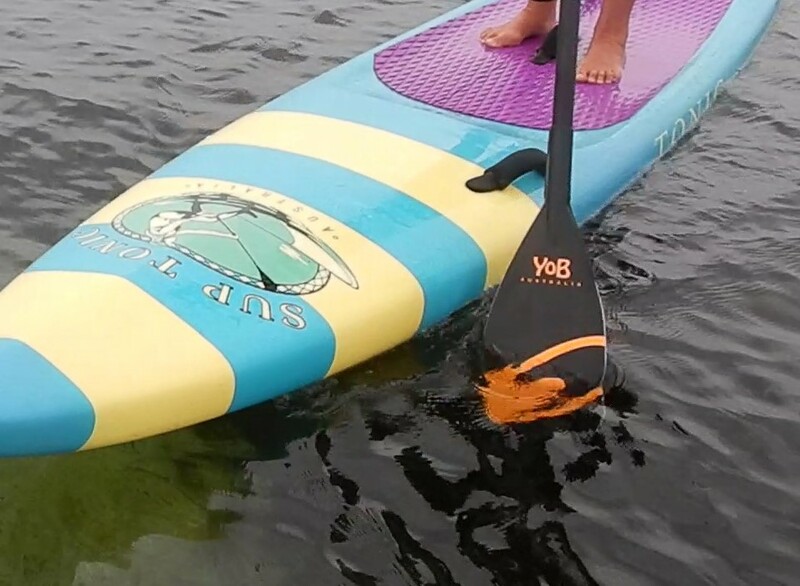 Consider getting a good paddle as your first purchase allowing you to hire boards until you find the perfect board for you!! Try a demo paddle at one of our sessions or contact Maree at SUP Tonic 0499 973 995. Why is a good paddle so important? Do NOT lose it. Make sure you ALWAYS put your paddle in the car first! Protect the blade from paddle strikes with rail tape or electrical tape. Label it with your number in case it gets lost so it can be returned to you. Keep out of the Aussie heat! The Tarpon blade is coupled to a 100% carbon pre-preg 3k twill shaft with matt finish for ultimate performance. You’ll be very impressed with the resulting power output. The Tarpon is ideal for racing, down winding, or luxury cruising. Blade Area: 83 sq. in. The Tarpon blade is coupled to a 50% carbon pre-preg 3k twill shaft with matt finish for those that like a bit more flex through the power phase. The Tarpon is ideal for racing, down winding, luxury cruising, and in the C50 version, a wicked surf paddle!! !